Spring cleaning? Students going to college? 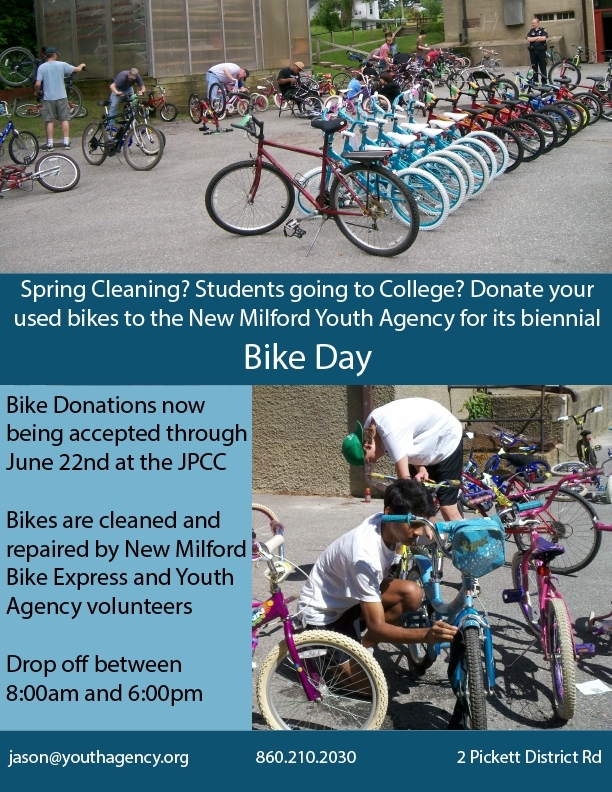 Donate your used bikes to the New Milford Youth Agency for its biennial "Bike Day"! Bike donations now being accepted through June 22nd at JPCC. Drop off between 8 am and 6 pm Monday through Friday. Bikes are cleaned and repaired by New Milford Bike Express and Youth Agency volunteers.